Variety, Volume, Velocity and Vulnerability. We know many different types of data are being generated at high speed but how much do we know about the new weakness they introduce? 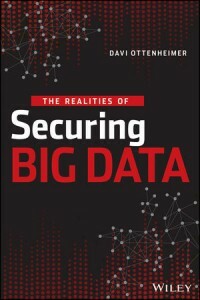 Security is often an issue in Big Data but rarely understood or discussed openly. This presentation brings forward the giant elephant in the room and offers the audience some real-world puzzles of big data to solve. Examples of humorous failures as well as some success are presented as examples. You might think your security problems are big until you are asked to help find some solutions for Big Data’s Fourth V.